Tippets and Tibbetts . . .
George Tippett, a colonial loyalist, lost his land where a major skirmish in alliance with native tribes was waged against the British crown during the American Revolution. The battle was lost, the war was won. 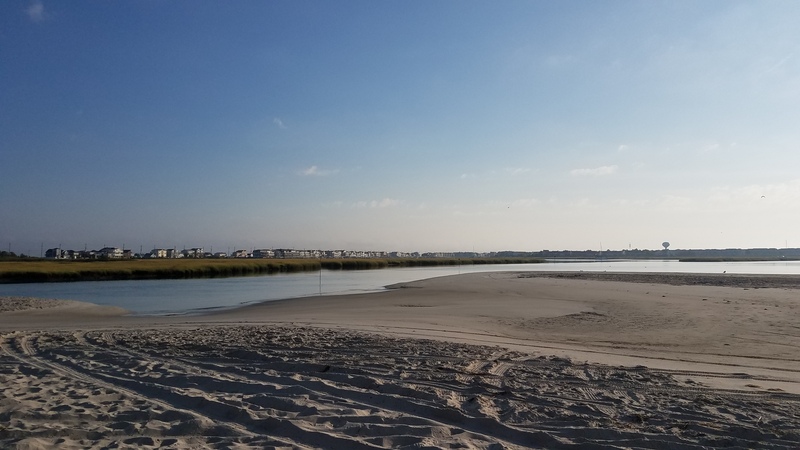 The outcome turned the land over and again, a name alteration emerged into a new standard, and land acquisition through marriage came to Jacobus Van Cortlandt. 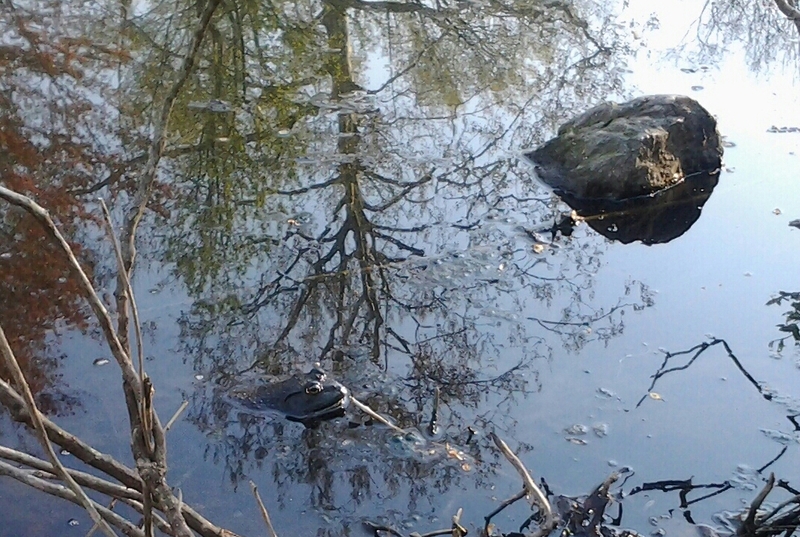 Tibbetts Brook flows, rather meanders, meanders down through a forested vein in The Bronx. 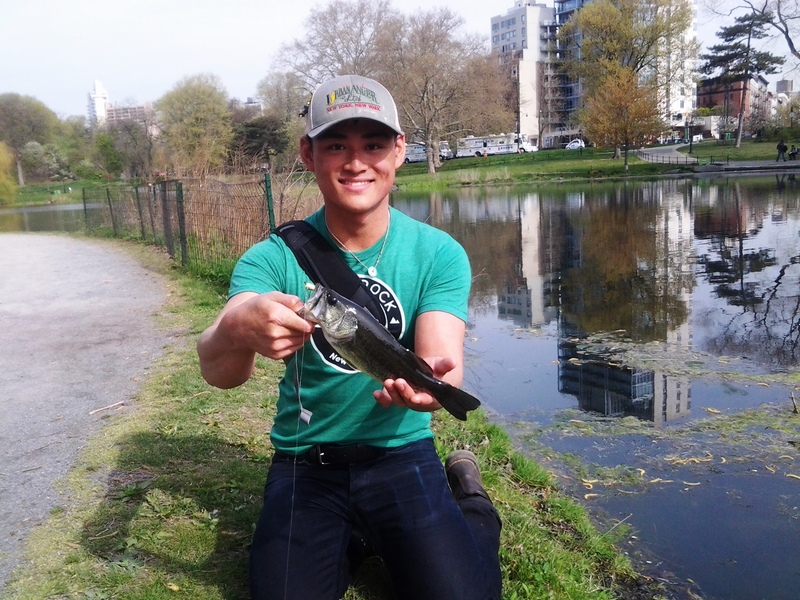 Two parks: Tibbetts Brook and Van Cortlandt, give the northern frontier of New York City freshwater fishing as close as the salt of the Hudson River where the striped bass swims. 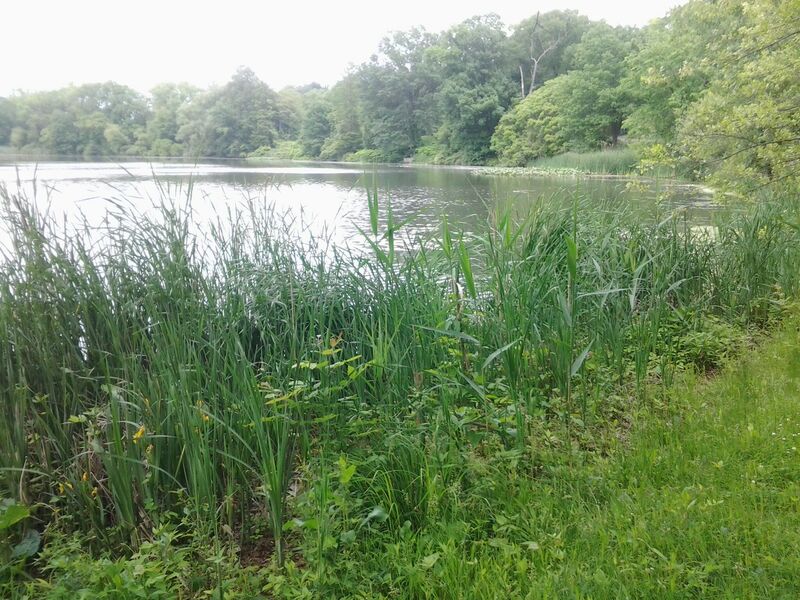 Water Lily, Spatterdock, and sediment flats offer a few fit and fat Centrarchidae with an appetite. Females, finished doing duty and ready for a meal, make up the bulk of the menu in June. Scattered few have fallen for a kebari. 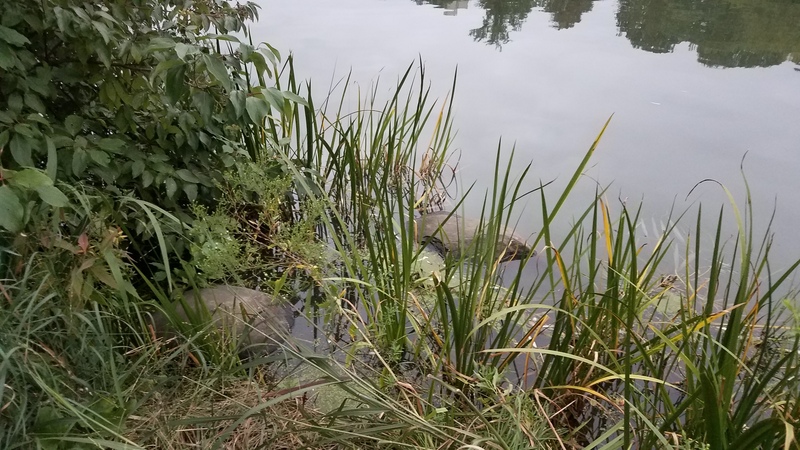 Others have been and may be in future flushed by frisky waterfowl or a passing cyclist if one pauses to inquires “How’s the fishing?” or “Catch any?” The most polite individual encountered, the one I ally with, is instead the semiaquatic genus Ondontra. The only one of its kind, the Muskrat deserves a most elevated status for its humble, pleasant nature and mild, herbivorous ways. 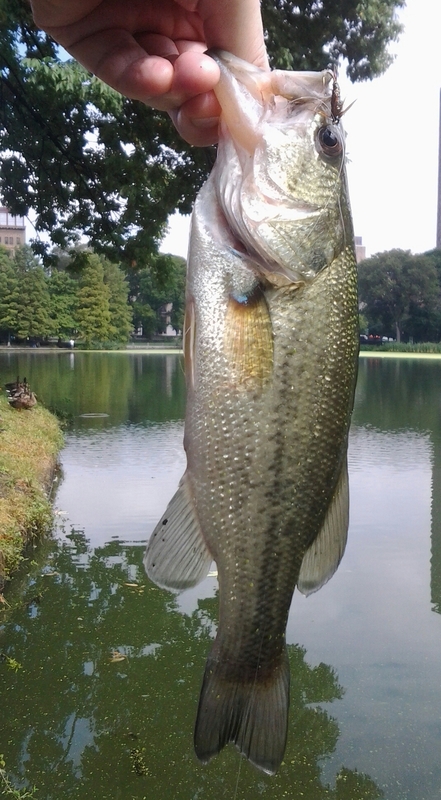 Calm water, or perhaps rippled from a sustained breeze, both enjoy the presence of the solitary bass of several pounds lurking below. 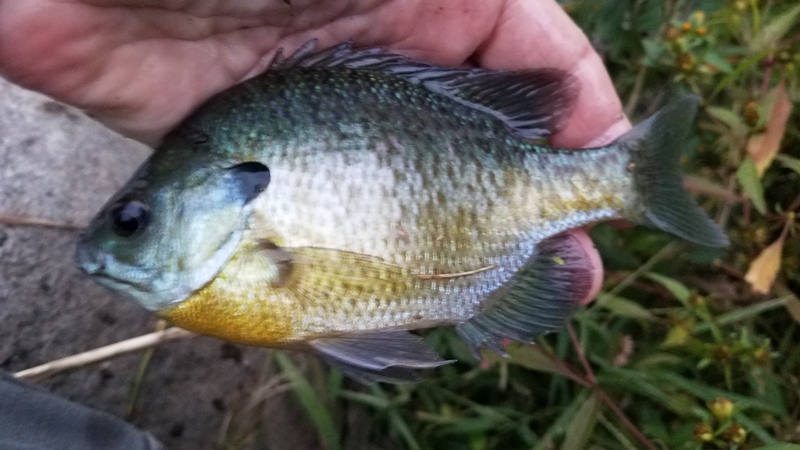 Patterns may take the form of a size 6 Green Guarantee streamer or perhaps a kebari of a different kind, such as the foam Panfish Spider. Experiments on the latter pattern using all game feather and fur remain ongoing and make for awesome time at the vise. Tippet, here in 2015, takes the form of three to six feet of 4x monofilament knotted to a twelve foot Level Line or Traditional Tapered Line. 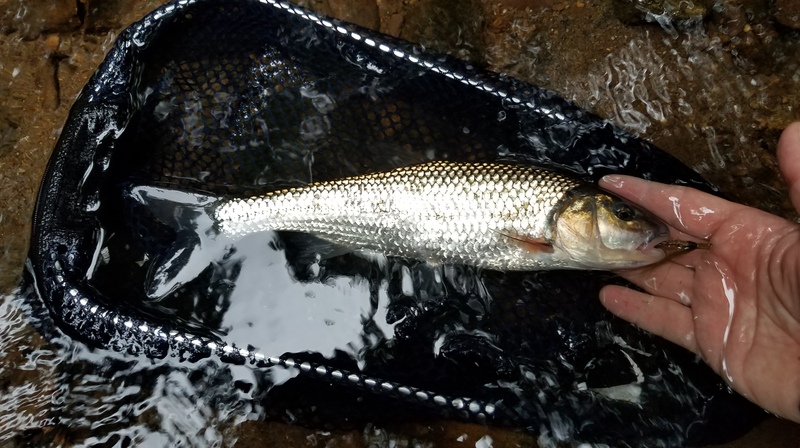 The less opaque Level Line makes a better choice in skinny water and finds itself used more often for this fly fishing. 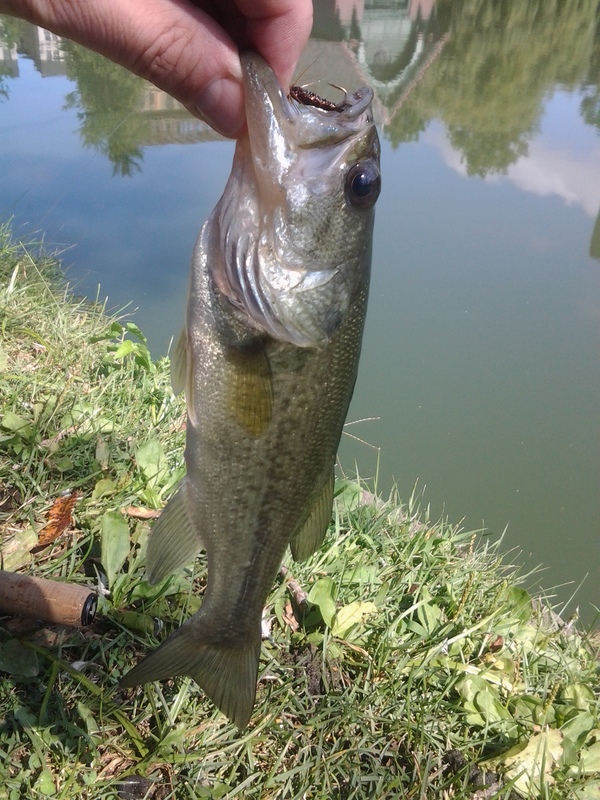 The line and leader formula gives a surging bass of three pounds sporting opportunity to break free into cover. 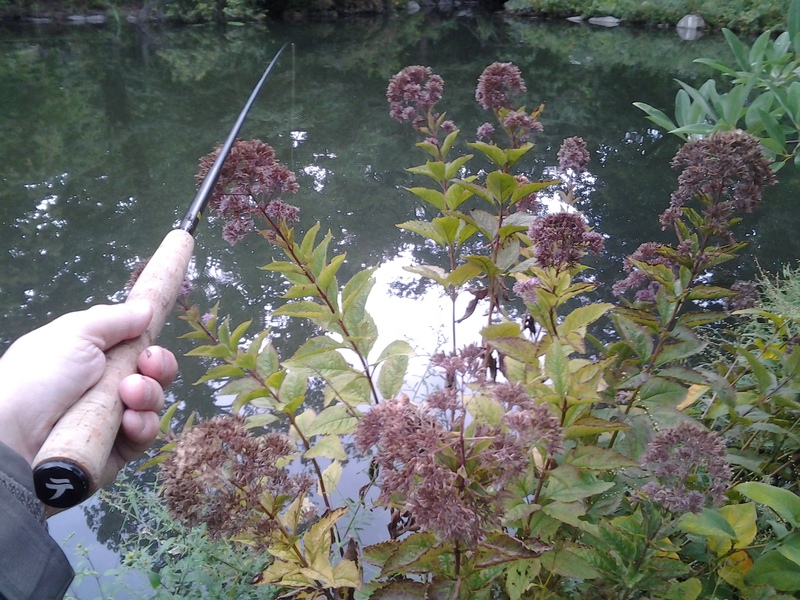 Fishes with a face full of weed can come with this territory, making a stiffer 7/3 flex like that of the Tenkara USA Yamame rod a prudent choice. Fights are fun, and fishes landed by bending rod and body in the protracted wrestle strike the profile of a true football. Nerf nerds might appreciate a comparison in the mix as well. 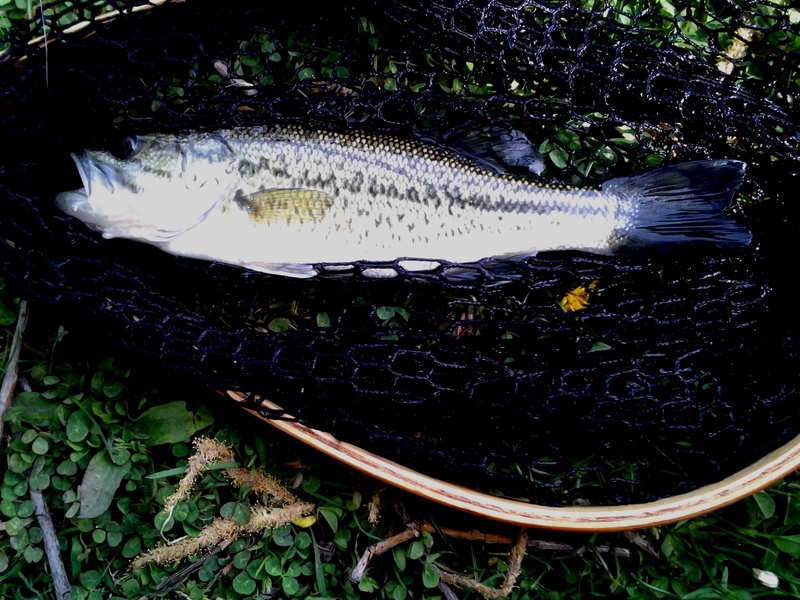 A female, long and muscled, at this time of year will feel deflated and seem somewhat airy next to an earlier one heavy with eggs, the kind of bass an angler with a soul let rest, as she is best then left alone. Aggressive females: the after party is a second story. Hungry, collected, they strike if presented a morsel of opportunity during a cruise in open water. A big girl emerges from cover with a slow, confident pulse that excites. Casting form may suffer from adrenaline jitters unless absolute focus is maintained. 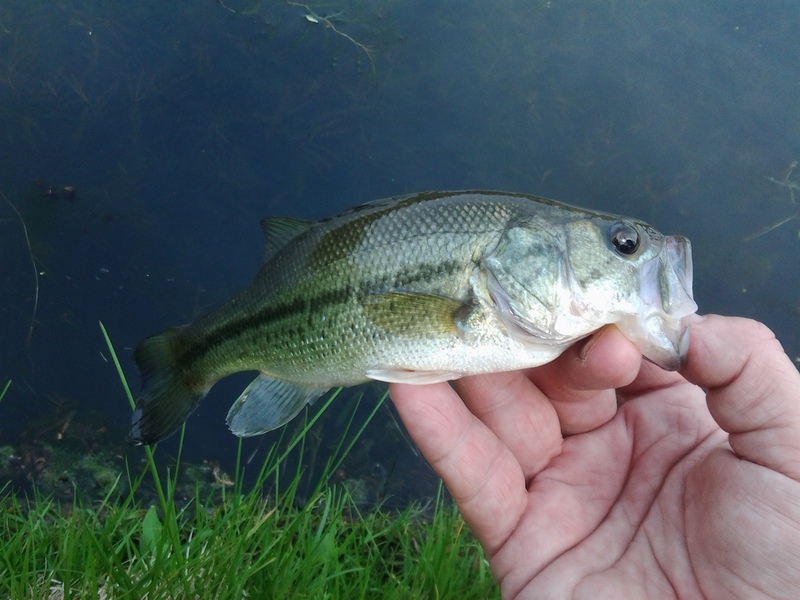 The female Largemouth Bass now wants to bite, to pounce on prey lingering too far from a green algae mat or lily pad or stand of pickerel weed. 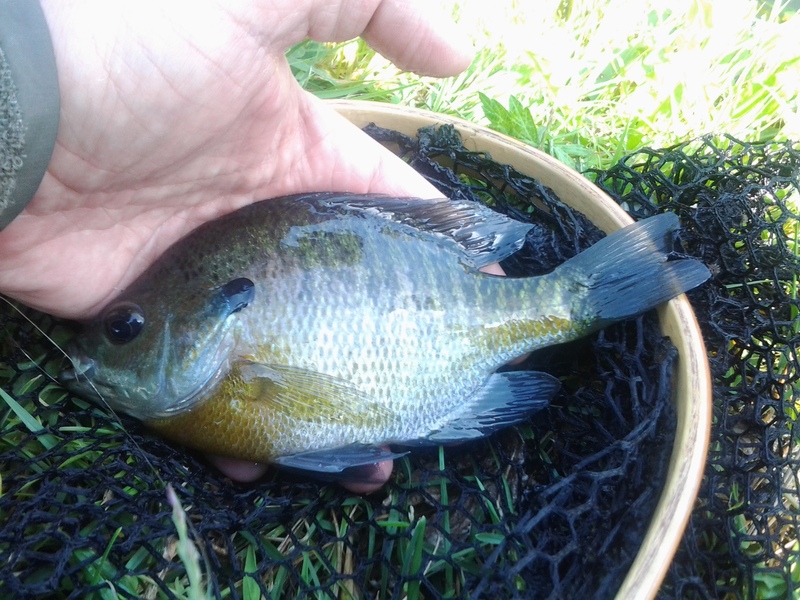 The pond permit, the Bluegill, shares the pattern. 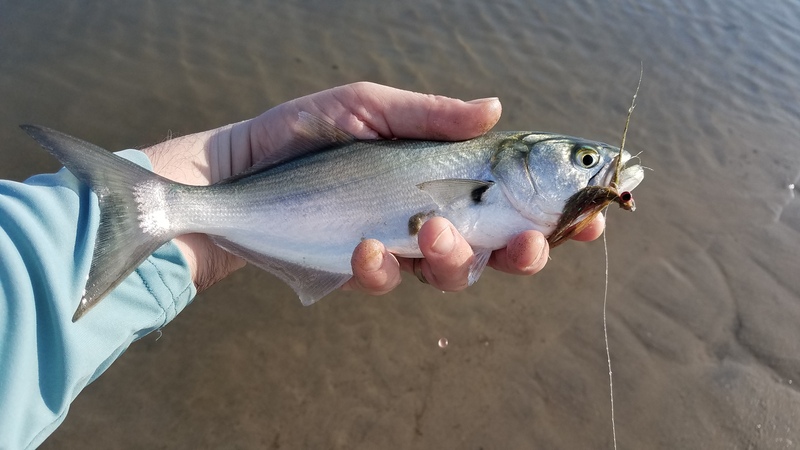 Olive and silver in tone with distinct vertical bars, the ladies inhale a fly, hold it in mouth often without the hook penetrating, making release easy if forceps have been brought along. Meanwhile, male Centrachidae are too busy to bite. Young bucks are swift, nimble, and chase instead of take. Try your best. The men are interested in pushing you away, not pulling. Noses nudge a fly pattern along, far away from nests full of fry, far from from a potential hook set. Smart behavior expressed by strong fish. From bottom to top, from end to end, full fishing reportage takes at minimum a full day to cover. The explorer angler’s hike, jog, or bike best includes some time in between to stop and read the informative historical markers and enjoy the wildflowers. Tippett’s land has changed, as has the legacy of his name. 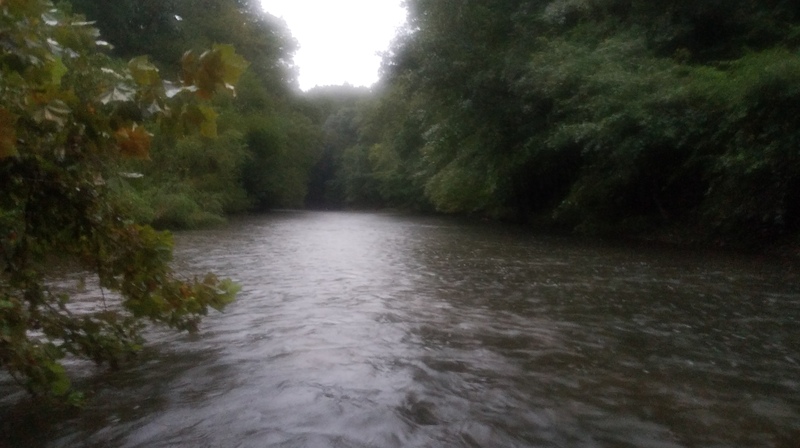 Still, scattered spots along this namesake brook in the Bronx may offer encounter with the kind of Largemouth Bass that can begin and end a memorable day in one respectable cast. 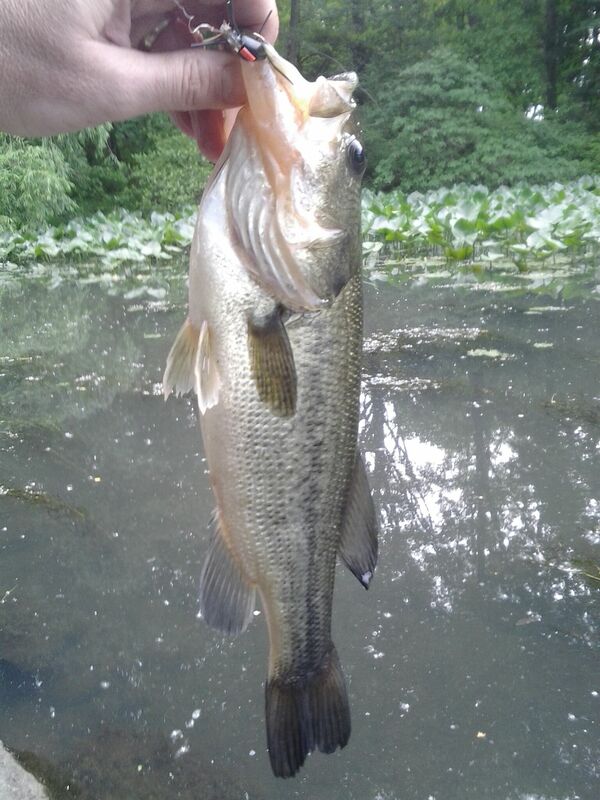 A size 8 Panfish Spider lured this solid female largemouth bass to the top. 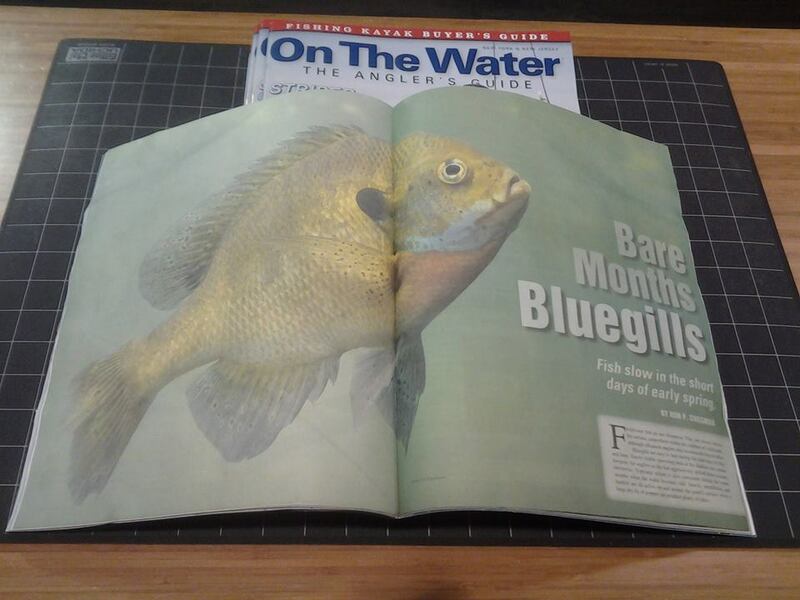 Bare Months Bluegills . 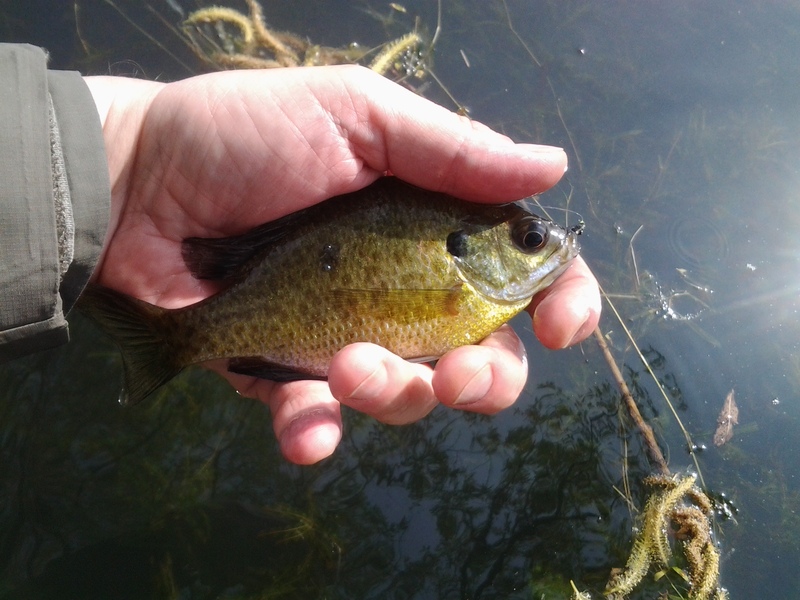 . .
Bluegills can be difficult to find and fish for during the bare months, those slivers of time when the ice may be off the water and leaves are still off the trees. Elements of conventional and tenkara fly fishing are included in the piece. 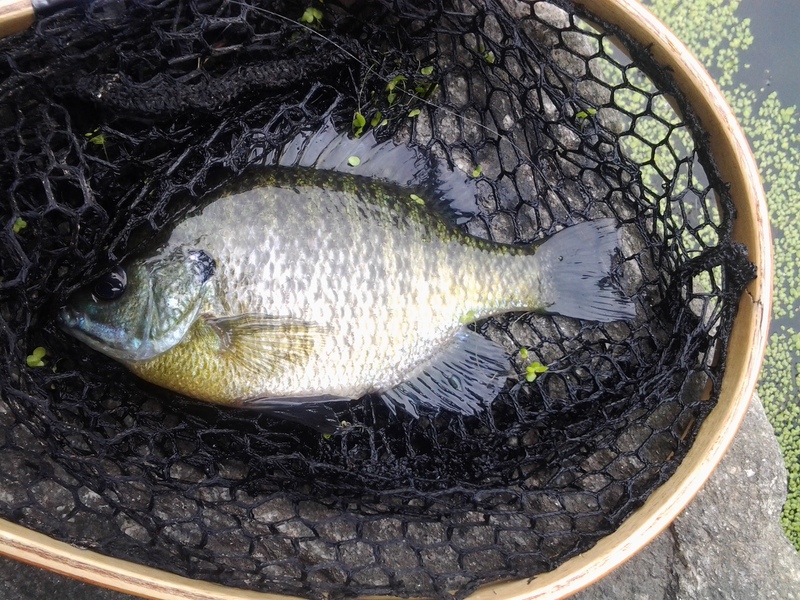 My personal tenkara pond fishing technique, which includes elements of high stick nymphing and the Leisenring Lift, are described along with useful nymph patterns that can coax reticent panfish to strike.